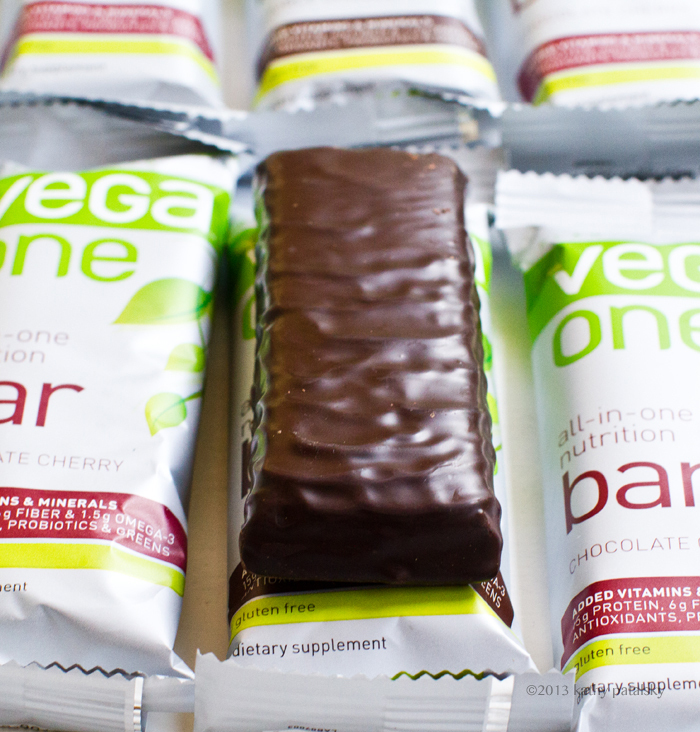 Vega One Bar: Review / Giveaway! Love chocolate? Love delicious ways to feed you body nutrients like protein, fiber, omega 3's, probiotics, greens and more? 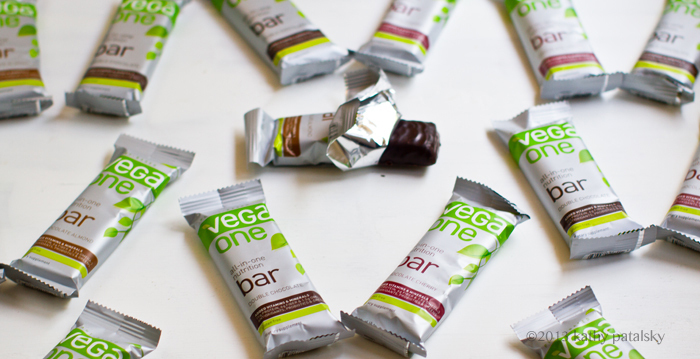 Well take a peek at this new (chocolate-drenched) plant-based product from Vega..
Vega One Bar. I am already a Vega One fan - one of my fave protein powders, featured in my recent Protein Powder Guide! 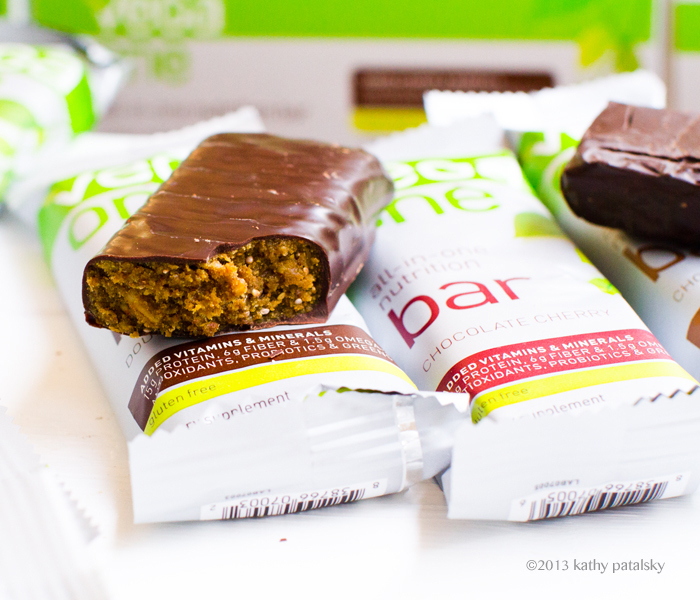 So when I heard about those same nutrients in "bar form" I was intrigued. Taste Test! 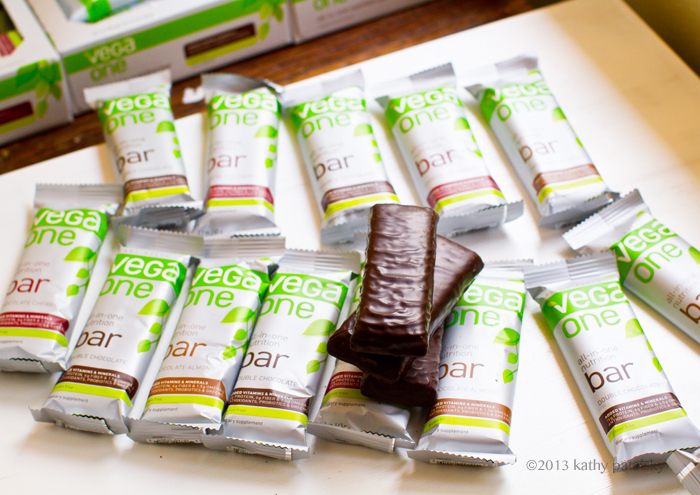 Ahead, read my review of the new Vega One Bar - plus enter my giveaway. Prize: a box of bars (6 winners!).. Alright, lets chat about why I love this bar..
* It tastes amazing. And I am a very picky "bar" buyer. It tastes like a candy bar with rich chocolate coating. * It is packed with good stuff. 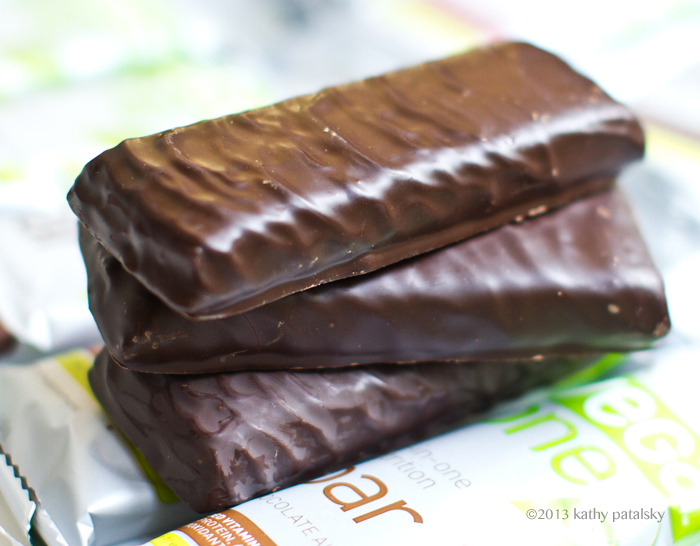 In fact, Vega says it is the most nutrient-dense bar on the market. 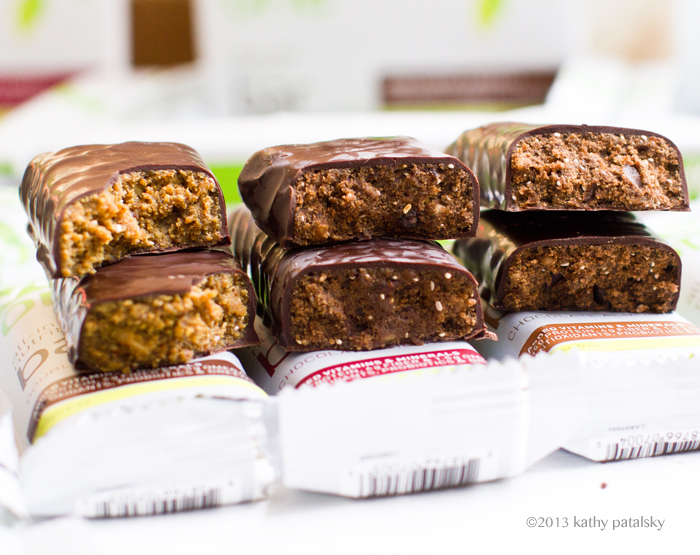 * Perfect for on-the-go nutrient boosting needs. Sadly, I cannot tote my Vitamix with me everywhere I go to blend smoothies, so these bars are perfect for taking to blogger events, on family vacations or just everyday travel for work or play. I plan on having one in my purse at all times. Ya know, just in case..
* Vega says, "When we say all-in-one, we MEAN all-in-one" This bar offers the same well-rounded nutrient profile as their popular blendable powder. I have looked, and cannot find a plant-based bar with this many wellness goodies in each bar. * Love chocolate? This bar delivers! The chocolate tastes amazing! 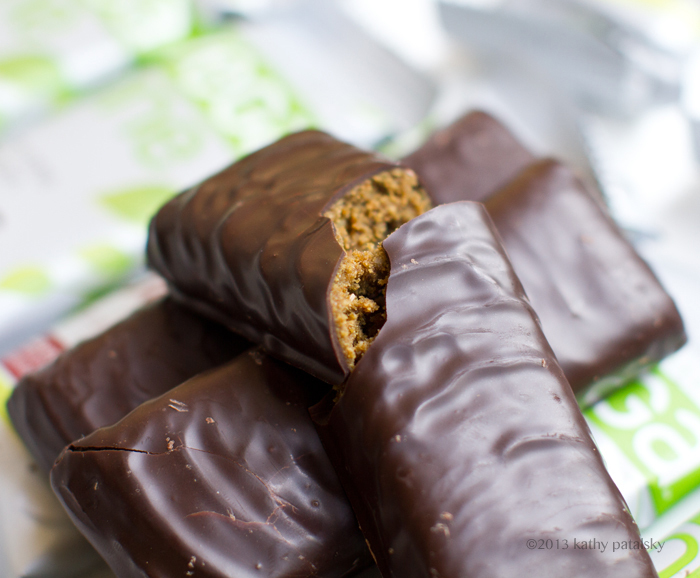 Silky, melts in your mouth and accents the velvety and nutty filling beautifully. * Flavors: Double Chocolate, Chocolate Cherry and Chocolate Almond. * Nutrition: Featuring 15 grams of complete protein, 6 grams of fiber, and 1.5 grams of Omega-3. * Probiotics & Greens Too. 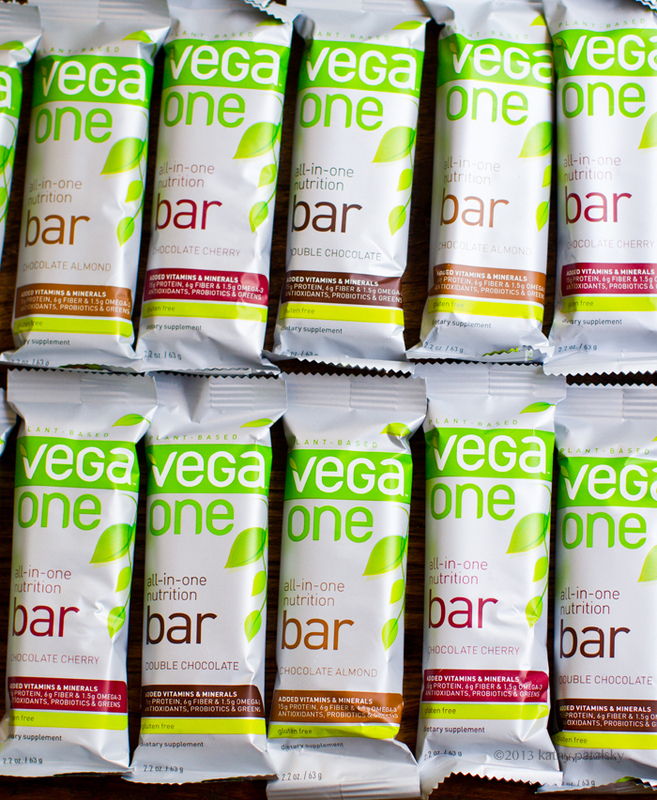 Vega One bar helps cover your key nutrient bases with a unique, balanced combination of essential vitamins and minerals, antioxidants, a full serving of greens, plus 1 billion CFU probiotics per bar. * Free. Gluten-free and sugar-free. Ingredients (Chocolate Almond) Other ingredients: Protein blend (sprouted whole grain brown rice protein, pea protein), sorghum syrup, dark chocolate coating (evaporated cane sugar, chocolate liquor, cocoa butter, sunflower lecithin, vanilla), inulin, roasted almonds, dates, almond butter, sacha inchi oil, white chia seeds, rice crisps, natural almond flavor, sea salt. * Chocolate Almond is my fave. Has an almond butter hint to it that I love. * The Double Chocolate is super rich and tastes kinda like a brownie. Husband's fave. 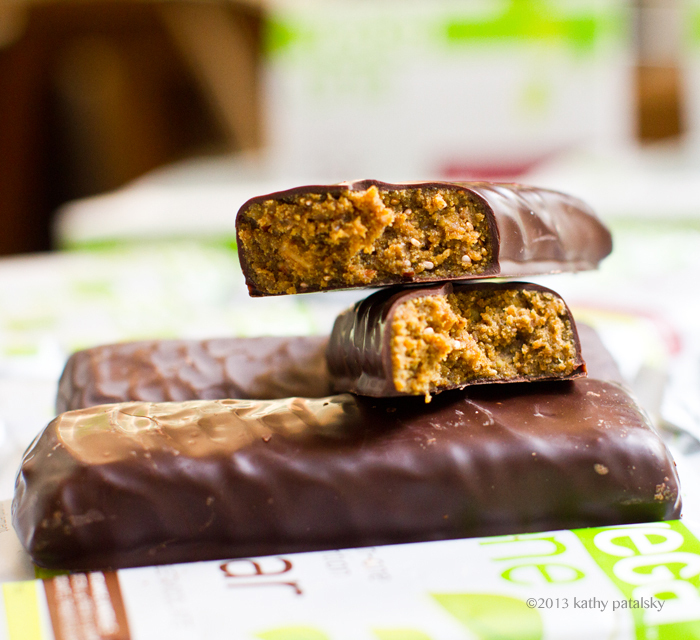 Vega One Bar - The Scoop.. Everything you love about Vega One Nutritional Shake, now in an on-the-go bar. 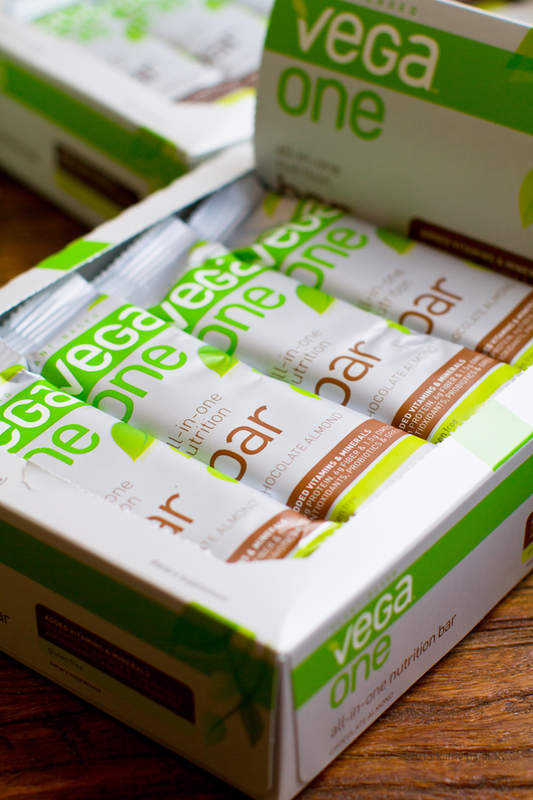 Vega One Nutrition Bar is a delicious all-in-one, plant-based supplement, packed with vitamins and minerals, protein, fiber, Omega-3, plus antioxidants, probiotics and greens. 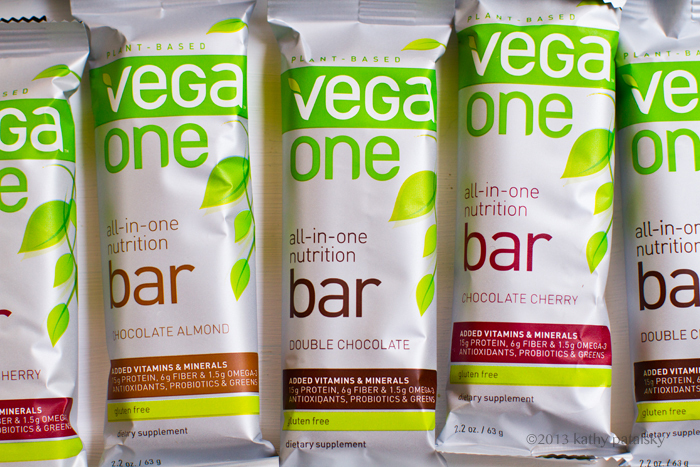 Made from natural, plant-based, whole food ingredients, Vega One Nutrition Bar is a delicious, convenient, all-in-one supplement. 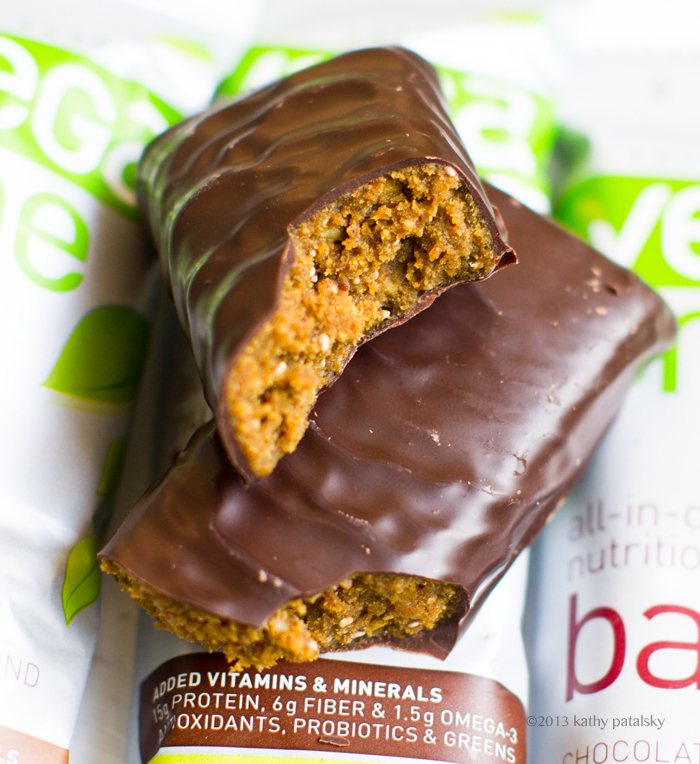 Formulated by Brendan Brazier, professional Ironman triathlete and bestselling author on performance nutrition, Vega One Nutrition Bar is free from gluten and contains no artificial flavors, colors or sweeteners. disclosure: this post is sponsored, but all opinions are my own.